PAROC HT Tape is a special-purpose high temperature protection tape featuring superior adhesive strength. Maximum working temperature is 350ºC (peak), 250ºC (continuously). It is an ideal for PAROC Fire Place Slabs and other high temperature applications. For this purpose, it is highly temperature resistant and age resistant. 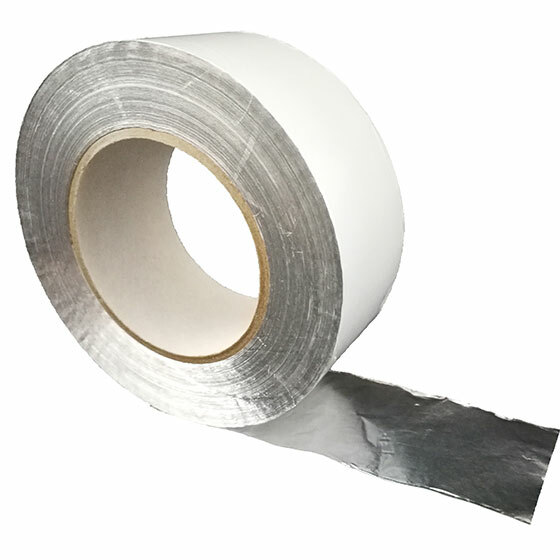 Use this aluminum tape for protecting, covering, insulating and repairing in combination with AluCoat and any aluminum surfaces. During the installation, the insulation material to be taped should be at a minimum temperature of +5 Celsius. Allow the temperature of the insulating material to adjust to the ambient installation temperature. Make sure that the surfaces to be joined with tape are clean, dry free of dust and grease. Surface must be free from oil, fat, dust and solvents before film/tape application. Do not use cleaners containing anti-adhesive agents. Some plastics and paints may discharge anti-adhesive agents leading to bonding failure. Rough and uneven surfaces may weaken bonding.